If your children enjoy watching Alphablocks, imagine having them in their library! The Alphablocks readers are a very interesting tool to encourage children to read in English. There are different levels so students can improve their reading and comprehension following the steps. 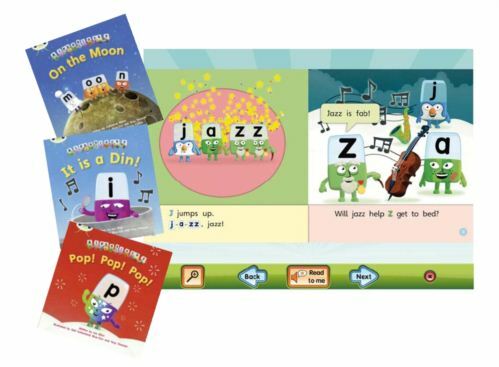 They provide very useful information about the contents of each one of the books, the sounds that they use and the alternative spellings too. You can buy them easily through Amazon.